35 Mbps to 379 mbps Internet Speed! we choose to watch streaming though the internet. YEA! We made the decision due to changes with our cable company requiring that we have one of their boxes on every TV in the home to view our subscription. Seamed a little controlling when you're paying a lot just for basic. We were paying a lot of money each month for our service so we decided to take inventory of what we actually watched through cable. Turns out we only watched a few channels, Fox News, ESPN and HGTV. We learned that the channels we watched are available through internet streaming. It didn't make sense to pay for what we didn't watch. We also learned upon inquiring with our cable company that our internet speed was about 35 mbps at a premium price. This low internet speed started to make sense as to why our buffering was an issue whenever we streamed from internet. After investigating other options for "Internet Only" service we learned that our existing cable company offered a 400 mbps internet package. To save more money we purchased our own router and wireless modem that can handle 400+ mbps. The other option would be to rent their router per month, NOT. 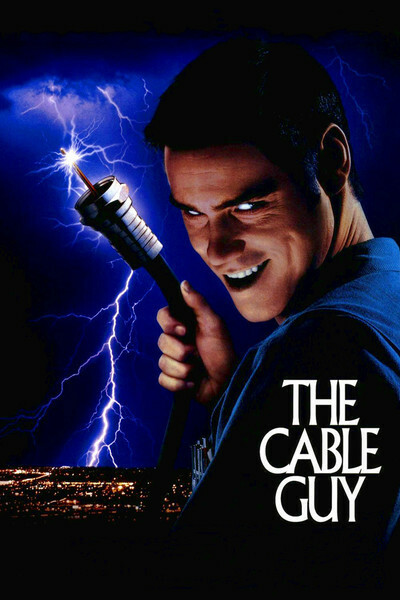 Once connected we called the cable company with serial number of our router so they could ping it. Buy streaming all our programming though the internet we saved about $150 per month and we actually have more choices than ever in what we decide to consume for our education or entertainment. A few of our rental properties are pre-wired for cable and Ethernet through-out the house. Wireless is very nice... but, Ethernet is better! 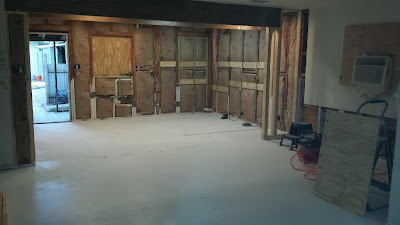 In the above example we have every room in a few homes wired to a central location. There is a main line that comes in and any or all rooms can be connected via cable or Ethernet. We are so glad we cut the cable and went fulltime streaming. With todays smart TV's the cable companies aren't as necessary. I usually don't get to meet the previous owners after we've completed our property remodel. 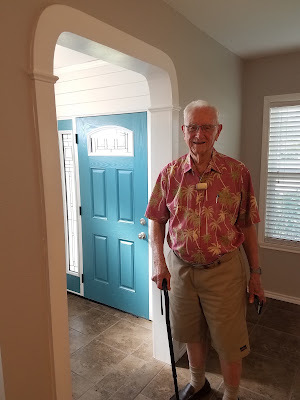 Ed Russek purchased the Robinhood property back in 1958 and lived there 54 years. 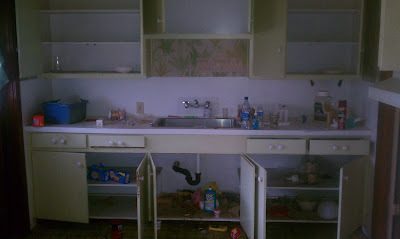 He and his wife raised their 3 daughters and 2 sons in this home. Ed Russek sold the property to a couple who ran the property into the ground making it unlivable and was soon foreclosed on. Ed and his family had a special attachment to this wonderful home after so many years of enjoyment. However, they felt bad the way the property had been mistreated. 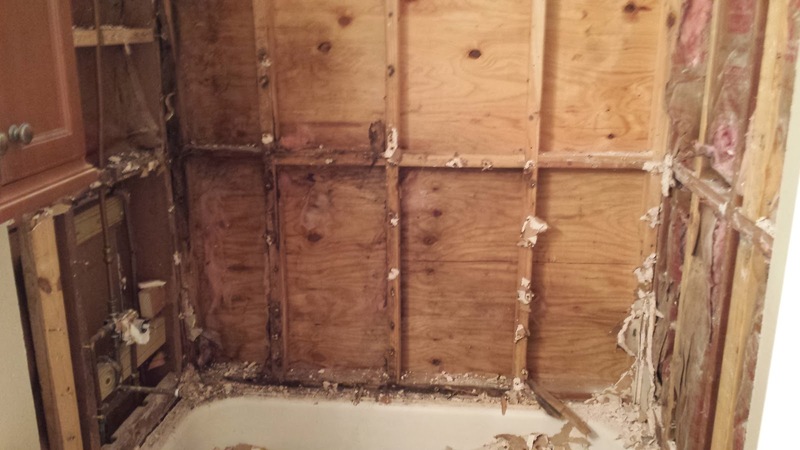 The Russek's heard that we purchased the property and began the clean-up and remodel. We were excited to invite Mr. Russek to view the home when we were completed. Ed pictured above shows us the craftsmanship of the archway he built years ago. He said that it took 3 days or more soaking the pine in water to get it to bend the way he wanted. Great craftsmanship and certainly adds a lot of character to the entry. What a wonderful treat to meet Ed and two of his daughters where they talked about many of their memories growing up this home and Sherwood park. It was surely gratifying to get the approval from a family that had lived here so many years. Our remodel of this kitchen was pretty extensive. 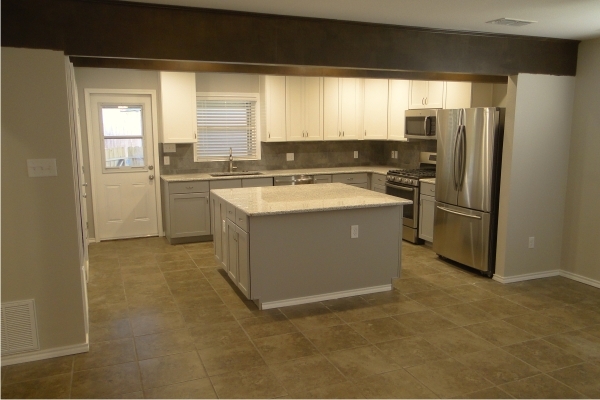 We decided to go with an open concept to provide ample space to the kitchen where multiple people could gather and cook. 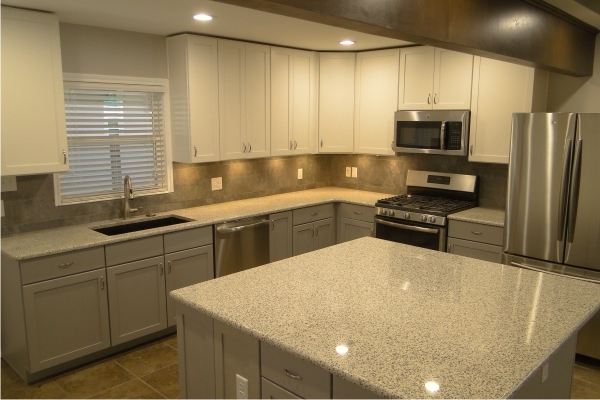 Accented the kitchen with stainless steel appliances that include 5 burner gas oven, refrigerator, and microwave. 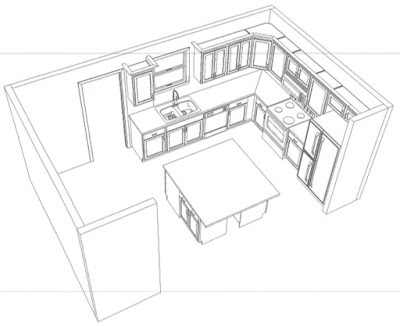 Lots of cupboard space that includes a walk-in pantry. The oversized island is a real show stopper for gathering and enjoying food. Cabinet Alternatives, Inc. (Glen Wells) designed our kitchen layout with 42inch upper cabinets and large island. 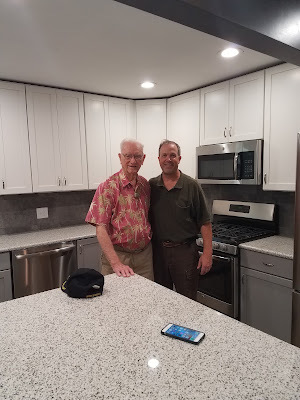 Lewis Sturgis (talented cabinet maker himself) installed all cabinets. 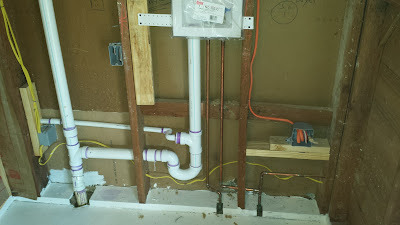 Updated electrical, lighting and plumbing for best functionality. It was quite a process to go from major clean up to a functional beautiful kitchen to enjoy. All new doors and windows helped brighten up the room. 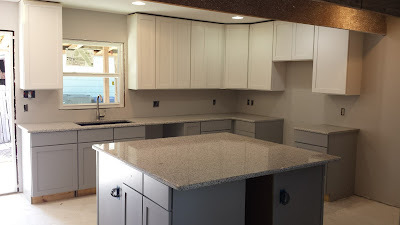 We topped the cabinets with a beautiful granite for long lasting. 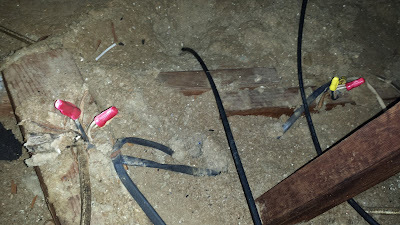 Discovered some major electrical issues in the attic of a property recently acquired. I was astonished with the splicing of open wires above each room. Can you say fire hazard? I turned all power off to house except some essential outlets. Crazy! 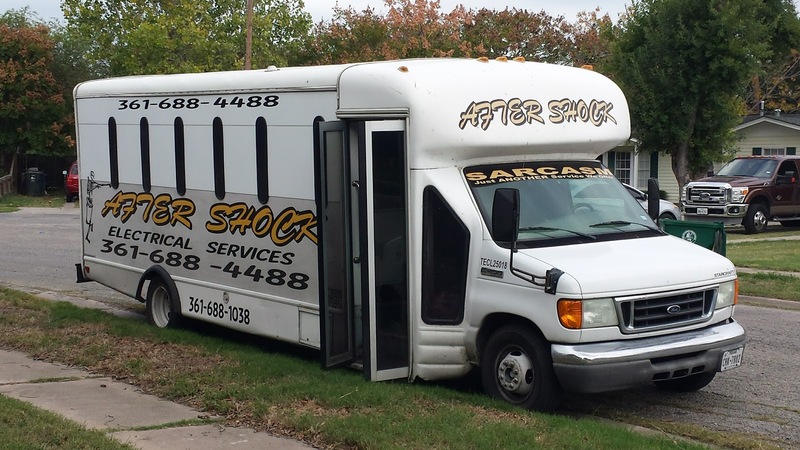 I decided to call in the professionals... After Shock Electrical Sercies did a great job in cleaning up this mess we had while making it safe! Everyone needs to know a good electrician and this family operated business does a great job. Incidentally, pictured is an old jail transport vehicle David Adams pickup and converted it for their companies use. Nice! Old cast iron pipes are common in older homes. 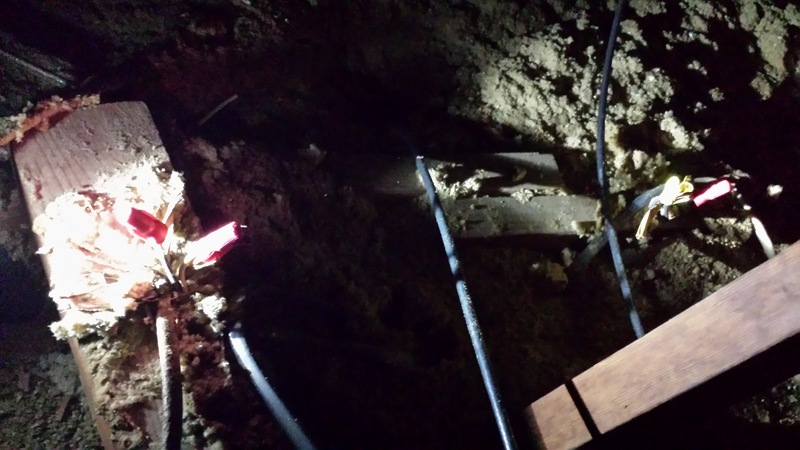 In this picture you can see that the drain pipes all had to be replaced after years of corrosion. 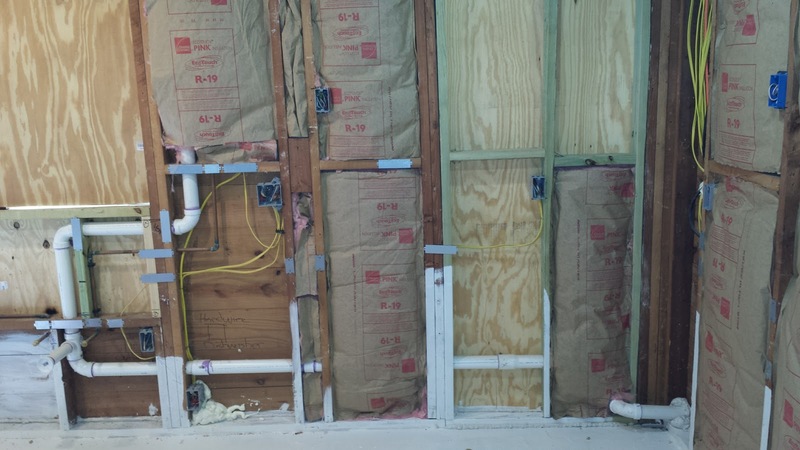 We usually contract out to a good plumber for this type of work. 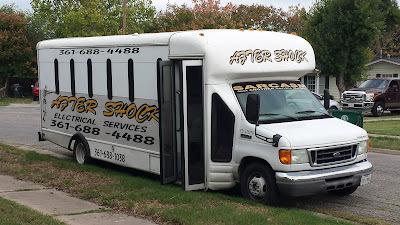 We've recently had a great experience with Rick Gomez @ 361-461-9291. He does excellent work. 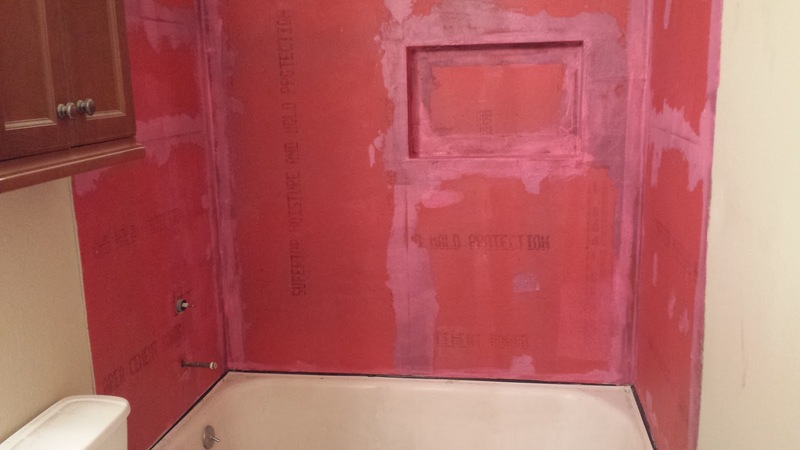 Kitchens are usually the first target for remodel when we pick-up a property. 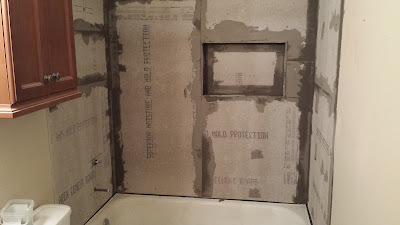 We usually look at a clean slate and take the walls down to the studs. We placed all new cabinets with a back splash and granite counter top. All new appliances. 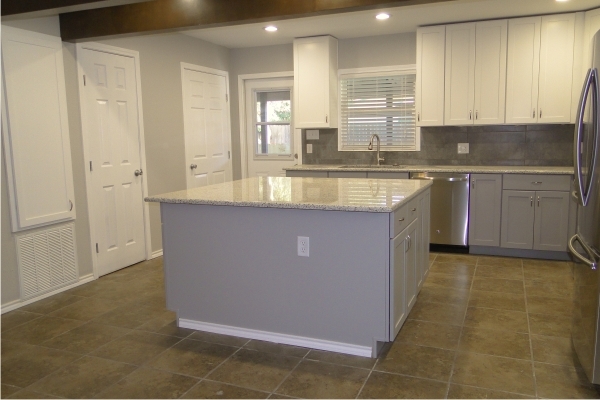 With a gray/white color scheme offers a nice cool setting that can go with anything. 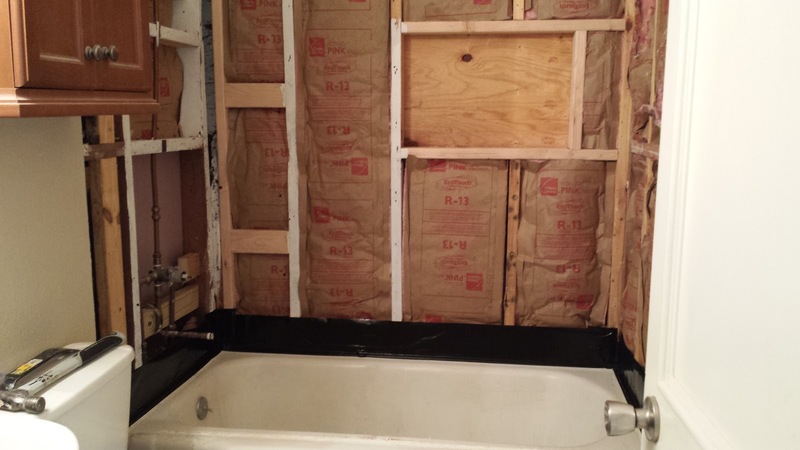 It was time for a bathroom remodel at this location. 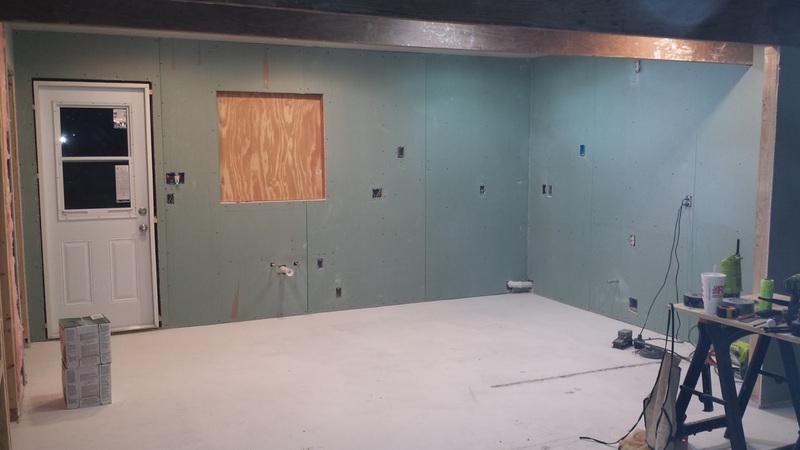 We stripped the walls down to the studs and started from scratch. Adding each necessary layer in providing a water tight shower/tub experience.